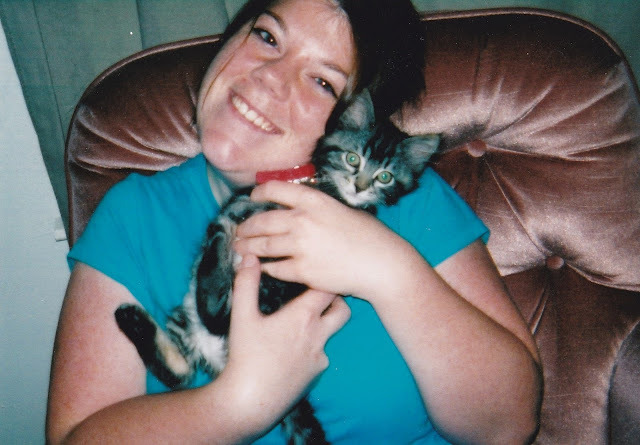 Enchanted Excurse: Precious Throw Back Thursday Kitties!! Precious Throw Back Thursday Kitties!! Throwback Thursday again eh? *LoL* Don't laugh at my picture. This one is of course as it says in 1995, I was I think ten when this was taken. I lived in Greenbrier, arkansas at the time and I wanna say they had this park every summer. 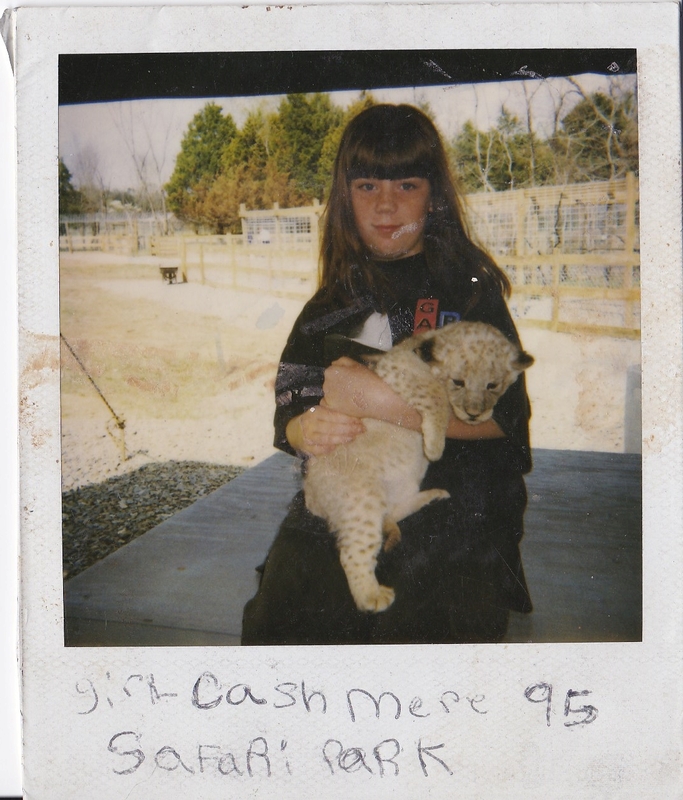 I cannot remember, but they would have Safari Park come where you could pay to hold and feed a baby lion. They also had alot of other animals of course, like a small zoo. I loved holding this lion she was so adorable. (I know my face says otherwise, but I just didn't like taking pictures at the time. lol) Anyways it was alot of fun!! WEEEEEEE!!! I hated the bangs I had in this picture, NO BANGS FOR YOU!! This picture was when I first got Zealand!! I got him from PetSmart when he was 5 weeks old. How adorable is he!!! He is so big now, but we knew he was gonna be a big kitty when we saw his paws. They were big for a kittens sized paw. This picture was taken around 2005. Odd I post two pictures with a 5 at the end of the year. lol I was skinnier and younger here also, so I guess you can say I posted three different Throw Back Thursdays today eh? Soon I shall be back to this size. My fourth day of excercising and plenty more to come!! Wish Me Luck!! Ta Ta For Now! !